(The Hague, July 11, 2018) – Supporters of international justice will mark the 20th anniversary of the Rome Statute, the founding treaty of the International Criminal Court (ICC), on July 17, 2018. 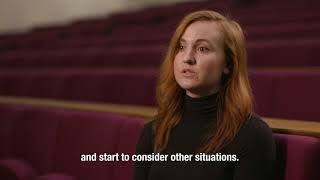 Amnesty International and Human Rights Watch released a short video today in which students from universities around the world discuss the court’s importance. The ICC is the first permanent international criminal court set up to provide justice for the victims of the world’s worst crimes, including genocide, war crimes, and crimes against humanity. It has opened investigations in 10 countries since it began operations in 2003.